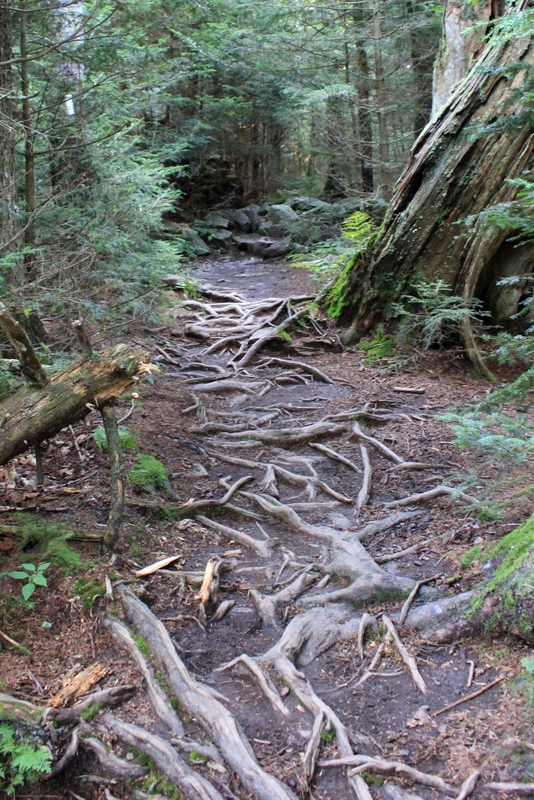 This month marks the 75th anniversary of the completion of the Appalachian National Scenic Trail. (To be precise, it was finished on August 14, 1937.) The trail is 2,180 miles long, has over 250 three-sided “shelters,” and links innumerable other trails through 14 states. 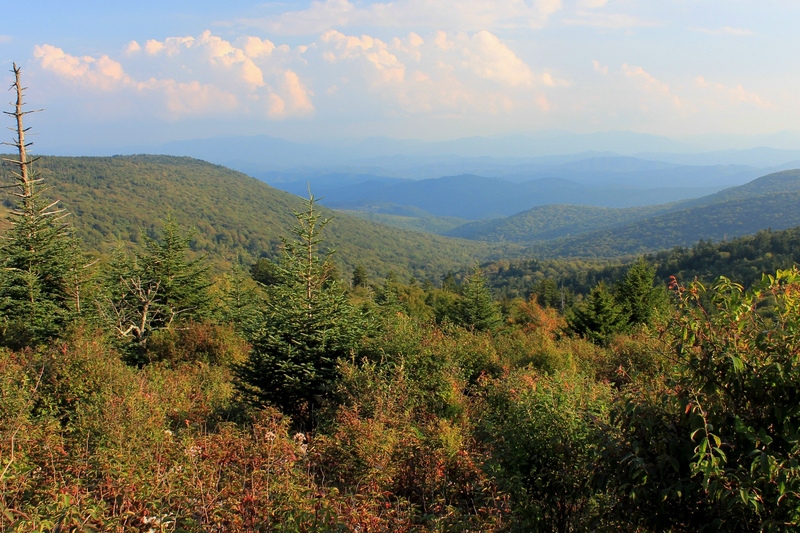 For three-quarters of a century people from all over the United States–indeed, from all over the world–have been trekking up and down the Appalachian Trail, or A.T., as most folks in the know refer to it. In commemoration of this milestone, this weekend I hiked a section of the A.T. between Mount Rogers and Whitetop Mountain. Founded by a small group of hikers, particularly one forester named Benton Mckaye, who envisioned an East Coast “super trail”, the Appalachian Trail Conference started work on the A.T. in the 1920s. By 1930 the trail began to take form as small groups of volunteers worked up and down the mountains of the East. According to the Appalachian Trail Conservancy, this was not a government project but the accomplishment of private, local clubs who mapped and routed sections of the trail, negotiated with private landowners and governmental agencies, and did the physical labor to build it in their respective areas. 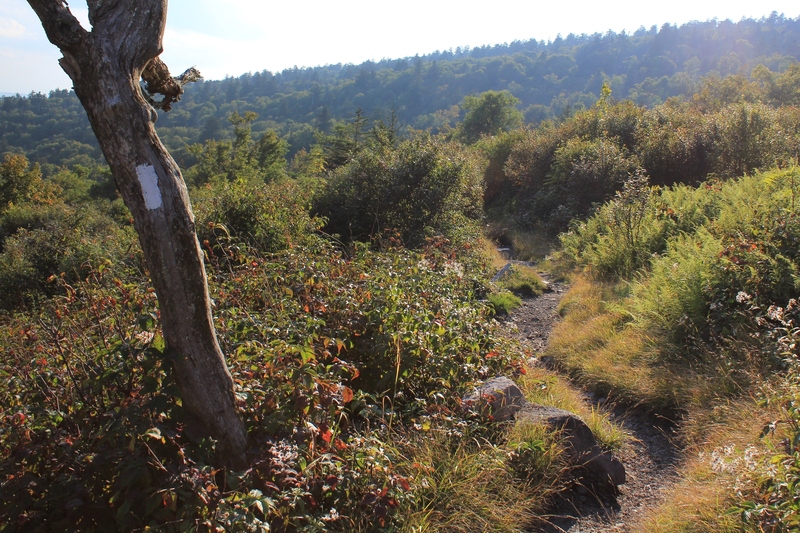 To this day, although the A.T. is now owned by the governnment, the Appalachian Trail Conservancy and the many volunteer organizations are critical to the maintenance of the trail. After World War II, volunteers renewed development of the A.T. In 1948, Earl V. Shaffer, an Army veteran who served in the Pacific Theater, completed the first “thru hike,” or continuous hike of the entire A.T., reportedly in order to “walk off” the stress of the war. In the years since, the A.T. has become a cultural phenomenon in addition to being an outdoor experience. Every year hundreds of individuals from all walks of life attempt to thru hike or section hike part of the A.T., seeking solace, self-exploration, or temporary escape from urbanity on the trail. In 1968, the United States Congress passed the National Trails System Act, and the A.T. was the first completed national trail designated a National Scenic Trail. This added the A.T. to the system of national parks. 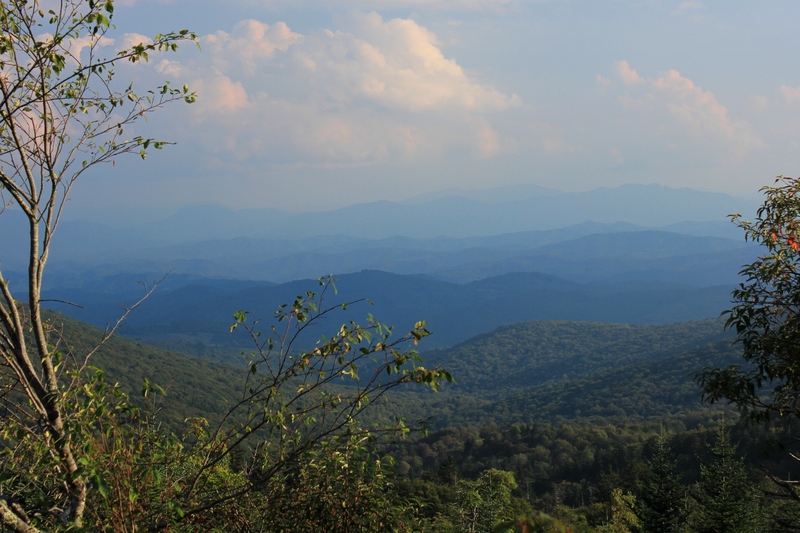 The A.T. links two national parks (the Great Smoky Mountain National Park and Shenandoah National Park), and includes Abingdon Outdoors’ own Mount Rogers National Recreation Area. 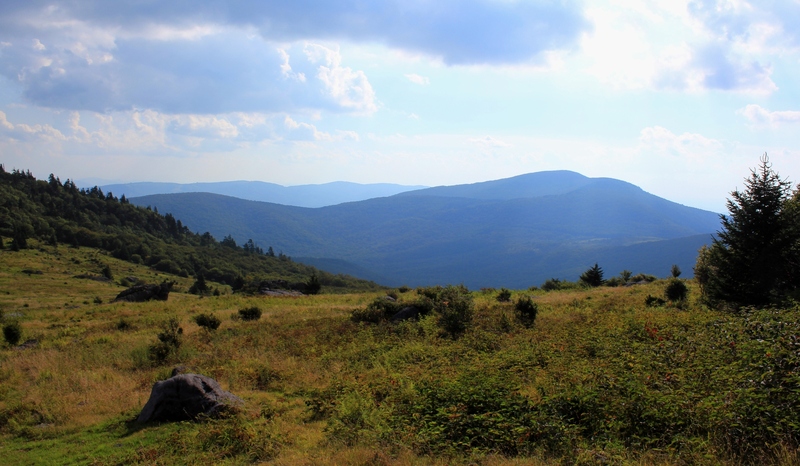 While the A.T. has always crossed the MRNA, the trail used to traverse the Iron Mountains to the north of Mount Rogers and Whitetop Mountain. 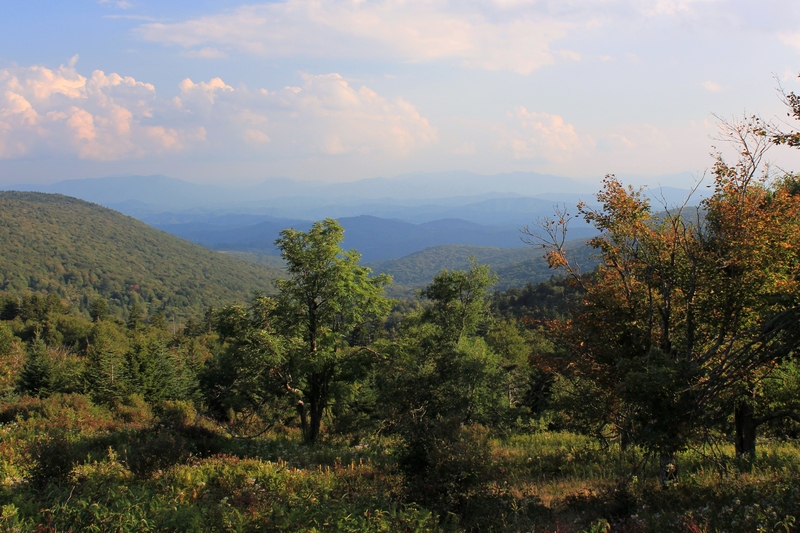 It was re-routed over Mount Rogers and Whitetop due to scenic beauty of these highest mountains in Virginia. The old shelters on Iron Mountain are still maintained as part of the Iron Mountain Trail. Most folks—like myself—have no intention (at least no immediate intention) of hiking the entire length of the A.T. Most folks hike part of the trail in a day, or at most over the course of a weekend or for a week or two. The trail is also frequently utilized by the Boy Scouts and by church and civic groups for hiking and camping trips. The trail is designed not to be easy: It randomly meanders and seldom takes the easiest path from point “A” to point “B”. At points it certainly appears as if the A.T.’s designers purposely placed obstacles such as rocks and roots in the way. This keeps the trail challenging. Root Strewn Section of the A.T. Happy Birthday, A.T. . . . See you on the trail.